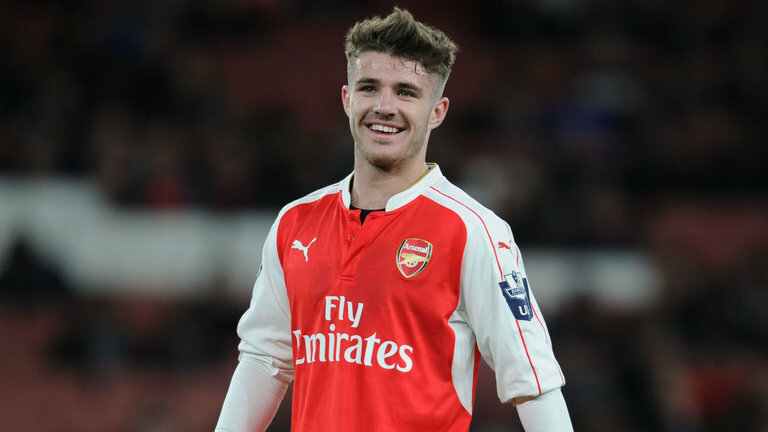 The comparisons between current prodigy Daniel Crowley and previous Arsenal starlet Jack Wilshere have been plentiful. Both players have pulled up trees at youth level for Arsenal, and both play in a similar style; looking to pierce defences with passing and carrying the ball through midfield. Crowley was pinched from Aston Villa, much to the Midland club’s dismay. So much so that they appealed about Arsenal’s payment of compensation for the youngster. They had trained him up through the Under-16’s all the way through to the Under-18’s team, despite Crowley being 12 and 15 years old respectively. They had unearthed a gem, and Arsenal had seen gold and snatched him. Precious is exactly what Crowley’s level of talent is. A year after joining Arsenal, Crowley signed professional terms with the club at 17 years old, and was soon exhibiting his unbelievable prowess for first the Under-18’s and then the Under-21’s. So much so that he was included in Arsenal’s pre-season squad for Singapore at the start of 2015. It was clear that Crowley had progressed as much as he could with the youth sides. He was ready for a stiffer test, one that would see if he could implement that burgeoning talent in the hustle and bustle of the professional ranks. Crowley was sent on loan for an initial six months to Barnsley in League One. So what happened at Oakwell? Why was this kid that was seemingly destined for greatness, sent packing from his loan club earlier than planned? The answer comes from the coaches at Barnsley themselves, who felt that even though Crowley had made 13 appearances in all for the Yorkshire side, he had struggled to break through and was wasting his time at the club. A slight contradiction coming from the then League One club. They declare that Crowley is the best of his age that they had ever seen, and yet they decline to enjoy his services for the time that was agreed? Arsenal to a degree also stepped in as Daniel had not made as big of an impact as previously hoped, but something seemed amiss. Why, if Crowley was so highly rated by Barnsley, did they use him so sparingly and allow him to be recalled? Daniel saw out the season playing a prominent part for the Gunners youth side as he had done prior to his loan spell, and just before this season started, Oxford United were declared as Crowley’s next destination. This time, the loan would cover the whole season and again, he would be cutting his teeth in League One. This would really be the acid test. Crowley’s talent really should shine through at this level if he was given sufficient playing time. At 19, the time for him to step up was upon him. No more would youth be able to shoulder the blame, especially with players the same age making waves in the tope European leagues. Again, Crowley started his loan spell well, scoring his first goal for the club in his first month. However, his loan spell was again cut short – this time six months early – as Oxford United terminated his loan deal and sent him back to London Colney. He had made just eleven appearances for the club, with only five starts, and had scored three goals. 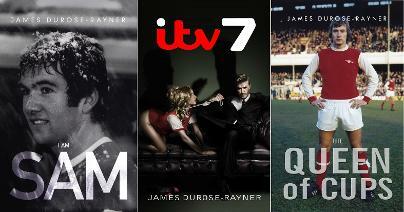 What was at the root of yet another failure to spread his wings at professional level? Well, this time the blame lay firmly at the feet of Crowley himself, as opposed to a shroud of mystery. Crowley had returned to his parent club for talks before the loan deal had been terminated, and at the source of these crisis talks was a game against League One bottom side Shrewsbury Town – a game that Crowley had featured in. Oxford United lost the game, and United coach Michael Appleton had dropped a number of his team for the following game. The manager felt that some of his team hadn’t performed and as is the way of professional football, they must train hard and prove themselves worthy of another game. Crowley from that moment never made another matchday squad. You don’t have to be a genius to read what Appleton is trying to say in a diplomatic manner. Crowley had seemingly rocked the boat a little regarding being dropped, and Appleton was having none of it. So, the state of play right now is we have a talented kid who cannot make the leap from a big fish in a little pond into the big lake. Crowley may yet get another opportunity to impress on loan in the second half of the season – but who would take the risk? This is where the comparison between he and Wilshire ends. Jack went on loan and came back a man, and straight into the Arsenal matchday squad. His desire to succeed was what fired him, and even though his injury woes has seen him flit in and out of the side, Jack’s professionalism ( to a degree, if he cuts out the cigarettes ) has seen him valued by Arsene Wenger and now Eddie Howe at Bournemouth. Crowley could also take a leaf out of Alex Iwobi’s book. The young Nigerian has risen through the ranks, and he now sits where Crowley should be, if it weren’t for the lack of perhaps the most important piece of the puzzle – attitude. Without this, Crowley will eventually slide down the ladder from what is still a priveliged position – and a golden opportunity. You can have all the talent in the world, but if you don’t have the grit and mental strength to ally with it, then you are destined for failure. Cristiano Ronaldo is blessed with skill, but he is where he is because he is merciless on the training pitch, practising for hours after official training hours have finished. To climb to the top, you must have both skill and tenacity. 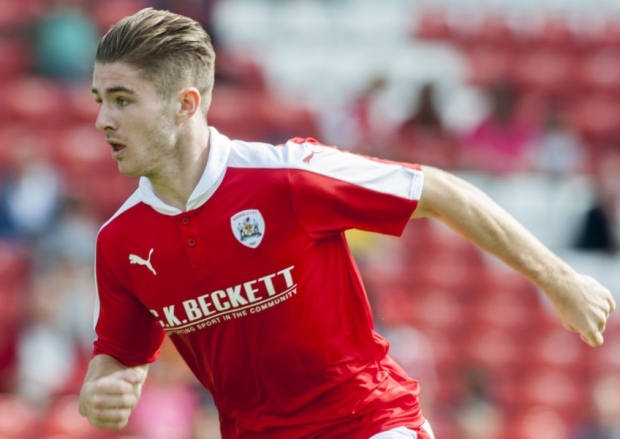 It seems Daniel Crowley should be searching for the latter, otherwise his dreams could dissipate as quickly as his loan spells. ‹ PreviousArsenal Odds On For Success In May?